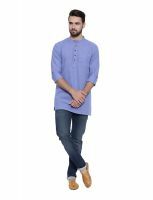 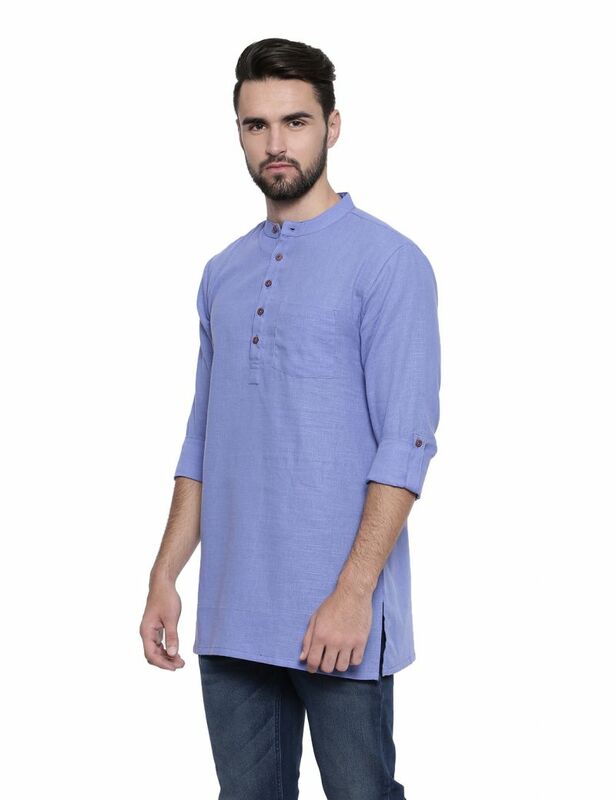 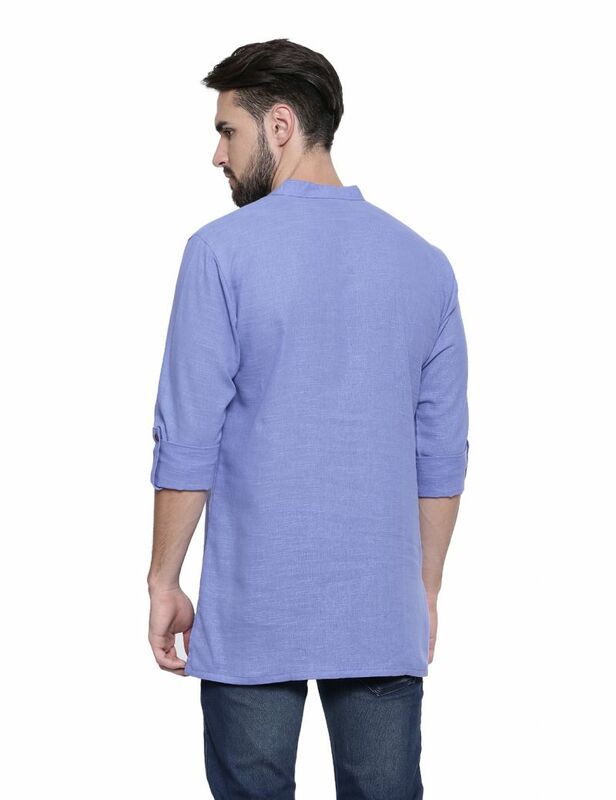 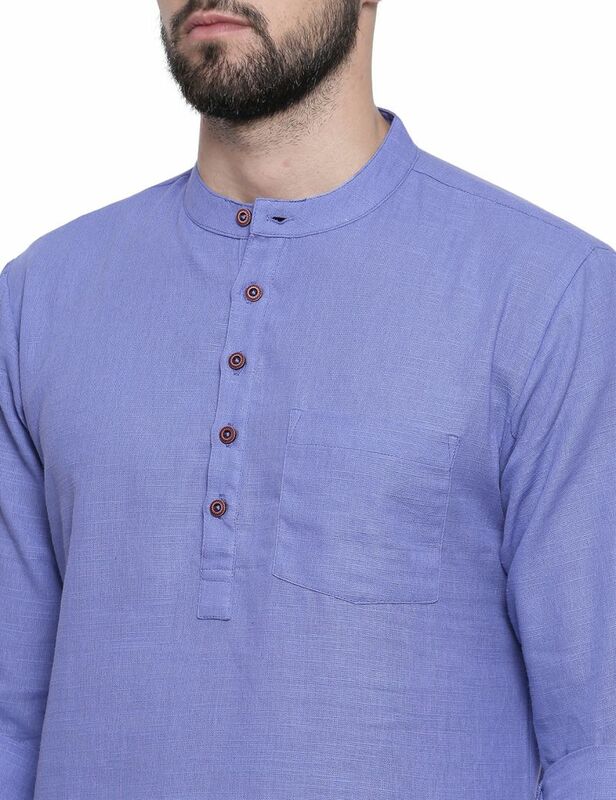 Mens Kurta is made up of 100% Cotton. 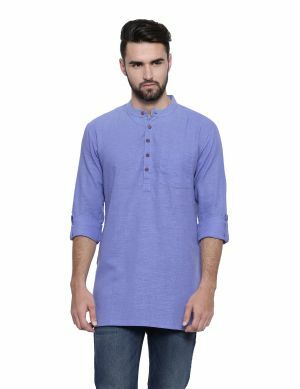 It is provided with two pockets,one at side and another at front. 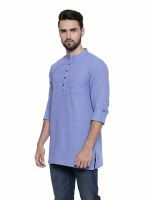 The wooden button enriches the garment. It matches good when paired with Jeans or gathered pants.